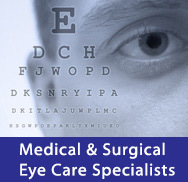 Blepharitis is one of the most common conditions effecting the eyes. Signs and symptoms of blepharitis include crusting around the eyelashes, burning, tearing, itching, dryness, redness, foreign body sensation, discharge, and eyelid swelling and thickening. This condition may be related to infection, inflammation, or skin conditions such as rosacea. Differentiating the cause of the blepharitis is crucial in determining the most appropriate and effective treatment. Our doctors have expertise in the diagnosis of this condition and offer a broad array of treatment options. Traditional therapies include warm compresses and antibiotic ointments. However, if these therapies are insufficient we may supplement the treatment through the use of various anti-inflammatory eye drops or even oral medications to tailor the treatment based on the specific cause. We are now also offering specialized in-office procedures to help relieve glandular obstruction in the eyelid associated with some types of blepharitis.